Closed for installation, will reopen to the public on April 23rd. Admission to the gallery is free and the public is welcome at all events. 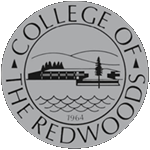 The College of the Redwoods annual Juried Student Art Exhibition will be on display from April 23 through May 9 at the CR Creative Arts Gallery on the Eureka Main Campus. There will be a public reception and awards ceremony held on Tuesday, April 23 from 4:00 p.m. to 6:00 p.m.
Each spring semester, this exhibition features outstanding examples of student work made in classes spanning many mediums, including drawing, painting, sculpture, ceramics, photography, digital media, jewelry and metalsmithing, animation and more. This event affords campus and local communities an opportunity to view and purchase artwork by some of our region’s most promising emerging artists. The juror for this exhibition is Susan J. Bloom from the Department of Theatre, Film and Dance at Humboldt State University. Bloom has an MFA in Film Production from the University of Texas in Austin, and over 20 years of experience working on network TV shows, feature documentaries, independent projects, and corporate media. Bloom also works as a freelance editor and camera person on a wide range of projects. She taught for 8 years at Brooks Institute of Photography in the Visual Journalism, Film Production, and Scientific and Technological Imaging programs. CR would like to thank their community benefactors for contributing to the CR 2019 Juried Student Exhibition. This year’s awards are provided by generous supporters including Robert and Desirée Yarber, Ingrid Nickelson Trust, A to Z Eyecare, The Art Center Frame Shop, Brio Breadworks, The Creative Sanctuary Arcata, Cypress Grove,Dutch Bros. Coffee, Ellis Art and Engineering, Eureka Art & Frame Co., Fire Arts Center, Heart Bead, Cindy Hooper, Jitter Bean, Joyce Jonte, MyKin Designs, Outer Space Arcata, Pen and Pine, Pierson Building Center, RAA, Emily Silver, SCRAP Humboldt, James Adam Taylor, Jesse Wiedel, Wildberries Marketplace, and others. The gallery will be open Tuesday through Thursday 12 to 4pm with additional viewing hours available by appointment. Admission is always free. The Creative Arts Gallery at College of the Redwoods is located on the Eureka Main Campus, North Entrance. For more information, or to schedule an additional viewing time, call the Creative Arts Gallery at (707) 476-4100 ext. 4869 or contact them via email at Art-Gallery@redwoods.edu.